Matthew Leahy’s depictions of whimsical and surreal scenes often incorporate familiar things interacting in unexpected ways. 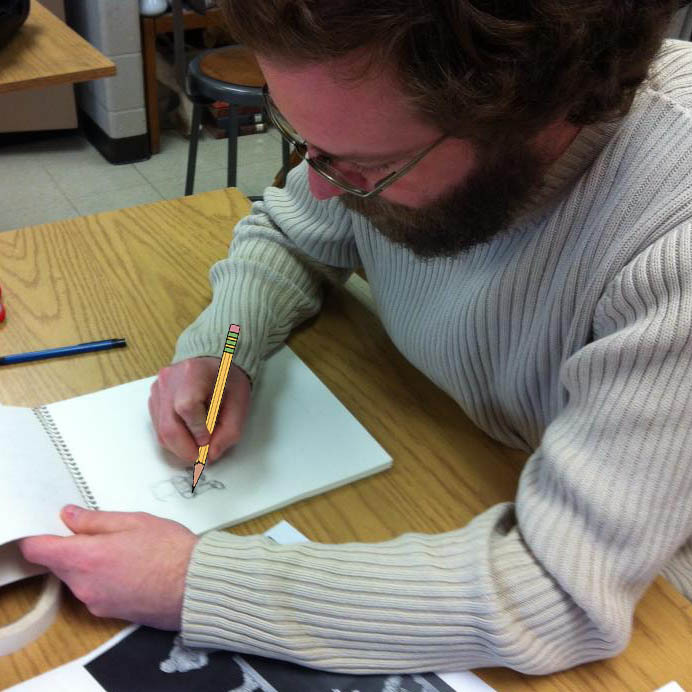 Matthew obtained a BFA degree in Studio Art from the University of Nebraska at Omaha, and a MFA degree in Studio Art: Printmaking from Wichita State University. He currently teaches art at Hiawatha High School, having spent the previous fourteen years as an art instructor at Highland Community College. In addition to instructing a wide variety of subjects such as drawing, painting, illustration, and art history, Matthew enjoys playing board and tabletop games, cooking Cajun and Creole food, making Halloween paraphernalia, and aggravating his offspring.